Imitation or faux pearls have been around for ages, and are so wonderful that they often outweigh their natural counterparts in value and allure. 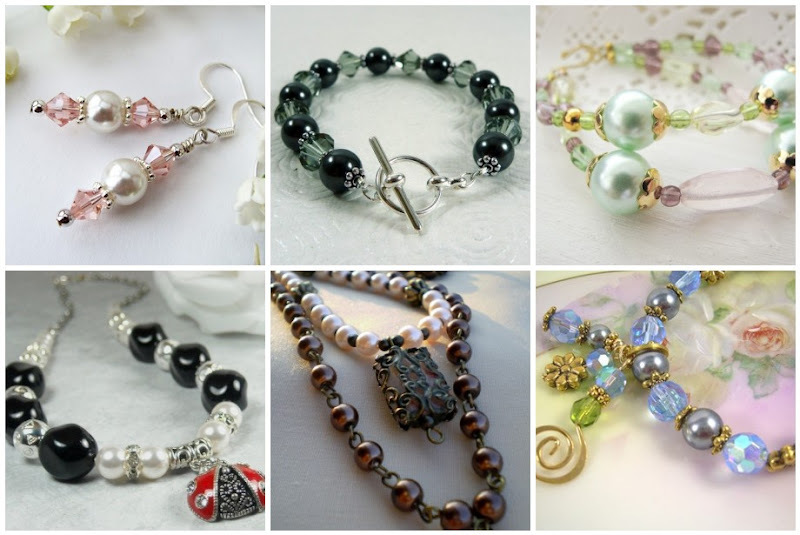 Offer a beader a choice between a strand of new, natural saltwater pearls, or some vintage plastic baroque pearls worn by Lucille Ball, and chances are the imitations would win. There are many different types of faux pearls, each with their own pros and cons when compared with the real thing. Even genuine pearls have different degrees of help from humans, and cultured freshwater pearls are among some of the most sustainable beads out there. Faux pearls give a lot of beaders access to beautiful design possibilities, because they are often inexpensive and of course, vegan-friendly. 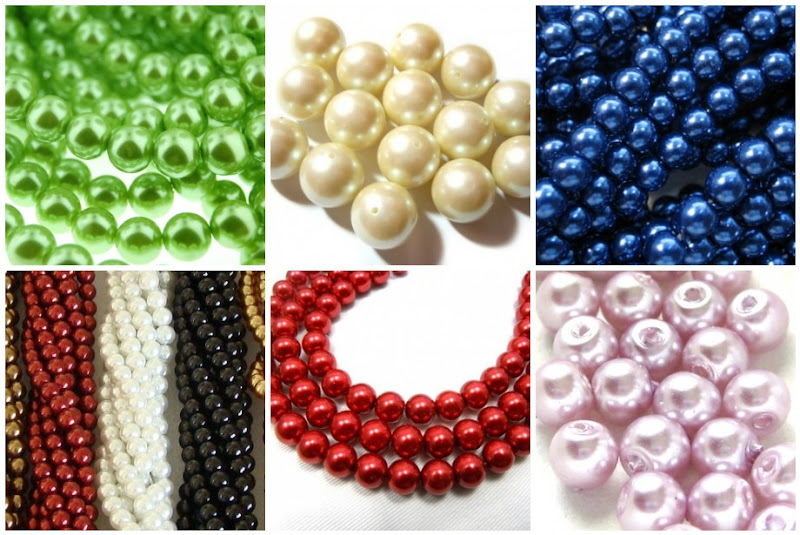 There are plastic pearls of various make and quality. The old fashioned costume jewelry styles are still sought after by even the most sophisticated designers. Like Coco Chanel did with crystals and gemstones, it is possible to pair up these fake pearls with more luxury materials and make stunning jewelry. CRYSTALLIZED™ - Swarovski Elements also has it’s own line of imitation crystal pearls, and they are arguably some of the best quality available to beaders today. They come in a wide variety of colors, have perfectly uniform shapes and finishes, and have larger bead holes than the average drilled pearl. 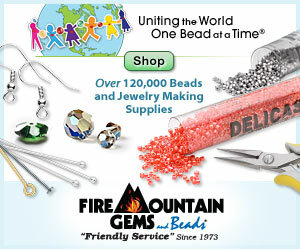 Because they are not as expensive as the real thing, they are perfect for elaborate designs, including bead weaving. However, like many crystal beads, the opening can be sharp, so they aren’t quite as versatile as other types of glass beads, or even authentic pearls. When your designs call for pearls, what do you reach for? Great post! I love using faux pearls in bead weaving, they look great in flat spiral in particular. I'm always on the lookout for more pretty colours. I definitely go for the Swarowski crystal pearls more often than cultured or even natural pearls. I like the comtemporary look of glass pearls. Great topic! Honestly I prefer real pearls, both for wearing myself and for working with in my jewelry designs. But I can appreciate that there are merits to both real and imitation. I loooove pearls! I have used regular glass pearls and Swarovski pearls and I like both but if I am making a nicer piece I will go for the Swarovski for the quality they make in everything they do. I have used freshwater pearls a little and I like their "flaws" for certain designs. Thanks for another good post! I like the organic quality of freshwater pearls as well. Their imperfections make them so beautiful.